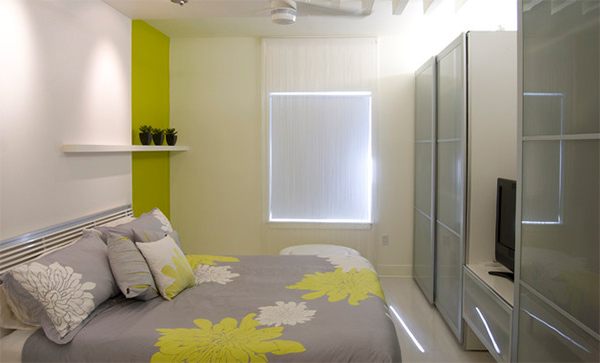 Whenever I think of condo bedrooms, what comes to my mind are sleek modern sleeping areas with minimalist designs. These would be comfortable and relaxing and has that conservative look. We would all look into a condo bedroom as formal too and of course, neat. 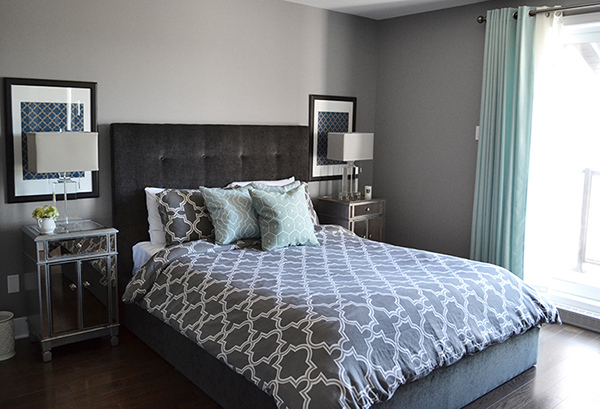 Today, we are going to show you some condo bedrooms that used gray color scheme. Gray is a cool, neutral, and balanced color that is associated with being emotionless or even moody color. But it does look formal, conservative, and sophisticated. 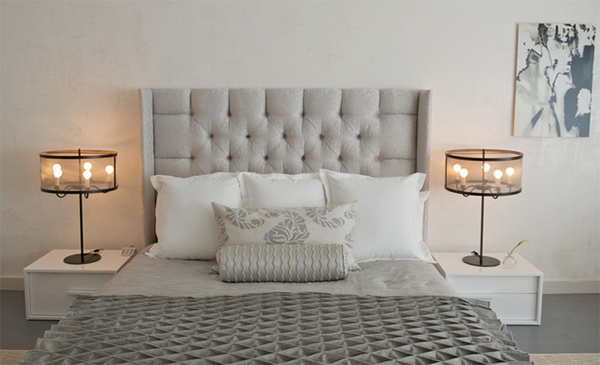 Using gray for the interior is a practical way to make the bedroom look timeless. 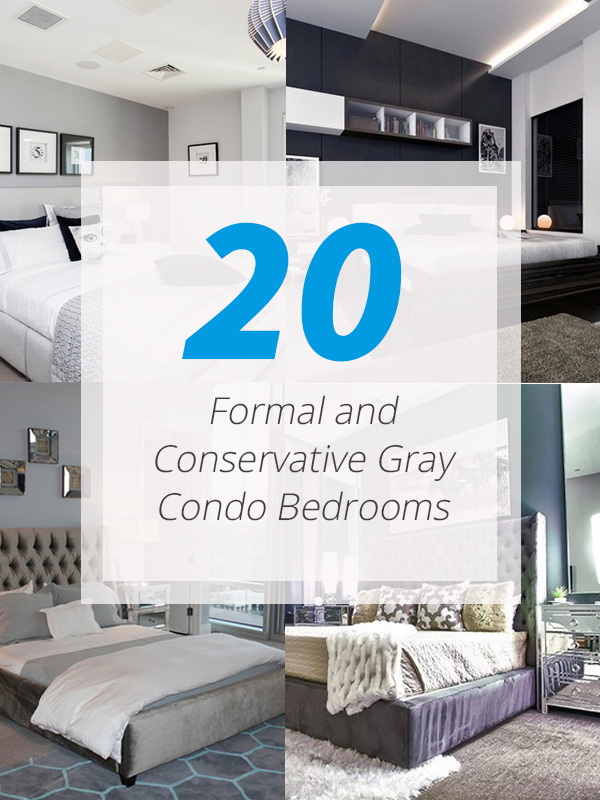 So, here are the gray condo bedrooms I have collated for you. 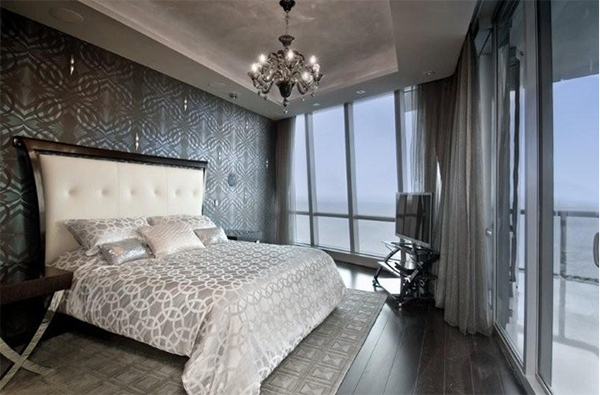 The bed fabrics look very luxurious as well as the entire design of this bedroom. 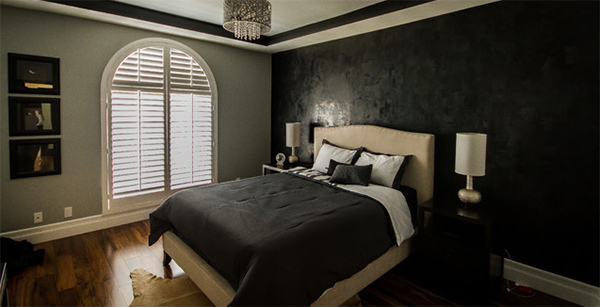 Gray, black and white is a good color scheme especially for a modern bedroom. 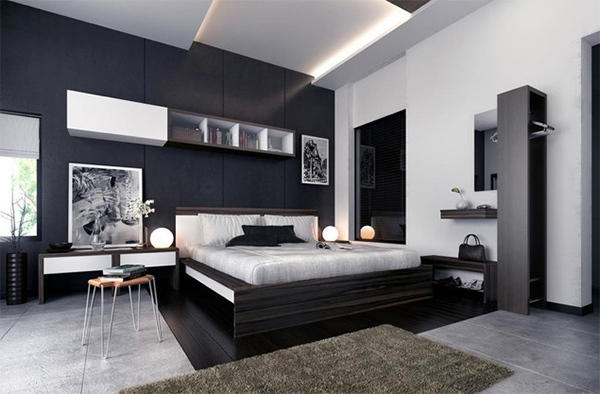 Modern lamps, gray interior and black and white beddings fill this contemporary space. 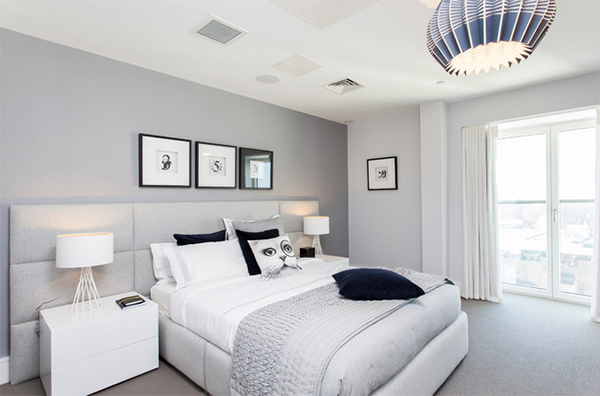 I love the neat and sleek appeal of this modern bedroom with different shades of gray. 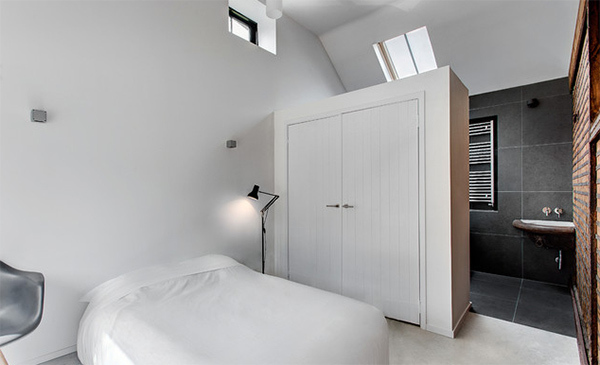 Want a bedroom as sophisticated as this? It used a mix of textures as well as a lovely combination of purple and gray. 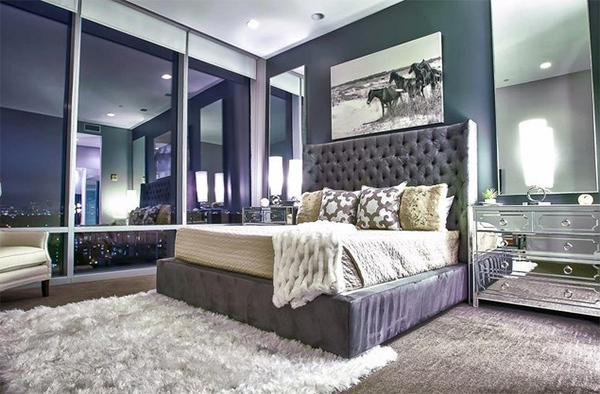 Aside from the glass walls, that headboard and mirrored wall decors and furniture are gorgeous. The wall has a striking design and that column is an added decorative element. 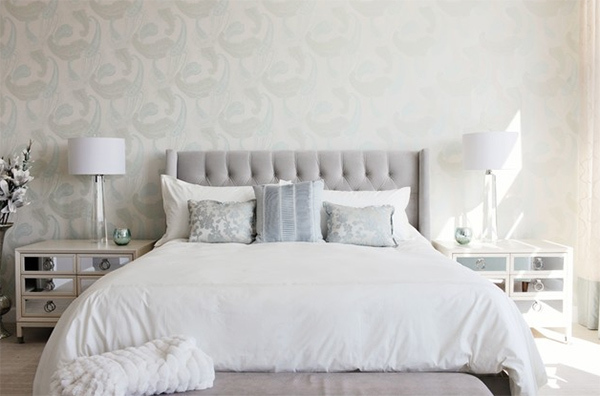 The walls of this bedroom are covered in a textured Maharahm wallpaper. Love this gray bedroom with pops of yellow! Aside from the color combo, what I like here is the lighting! Flooring of this bedroom is made from a mosaic of Northeastern hardwoods. 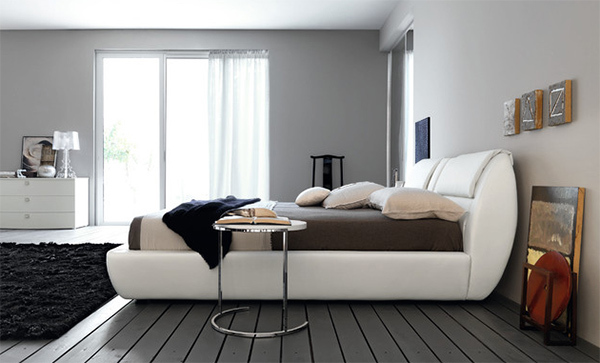 A white bed would look awesome in a gray bedroom like this one. 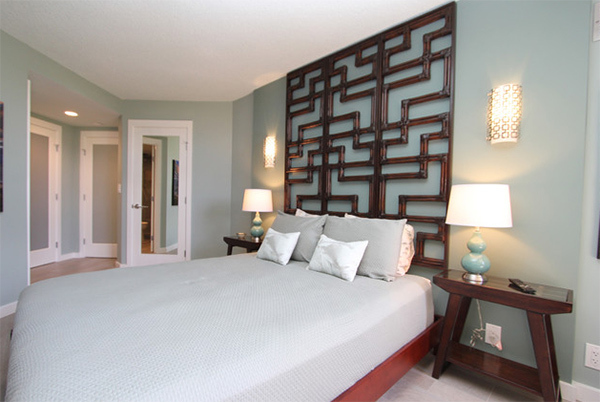 This bedroom features new Jonathan Adler wall sconces and a Chinese screen installed as a headboard. 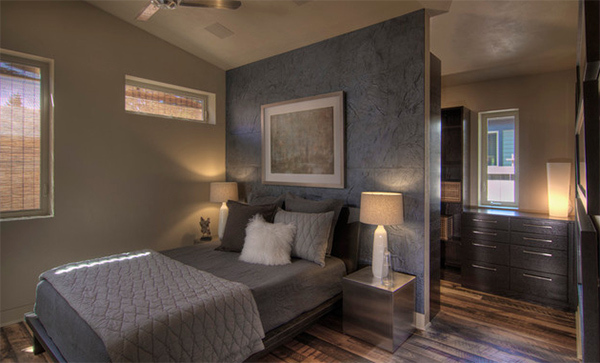 A masculine bedroom that used gray and blue color combination. Isn’t this a stunner? I like the textures in this bedroom as well as the wallpaper too. That whimsical cat throw pillow is a cute addition to this contemporary bedroom. Gray carpet and light gray walls and ceiling didn’t look boring at all with the furnishings in this bedroom. That is a lovely gray coverlet they have here! 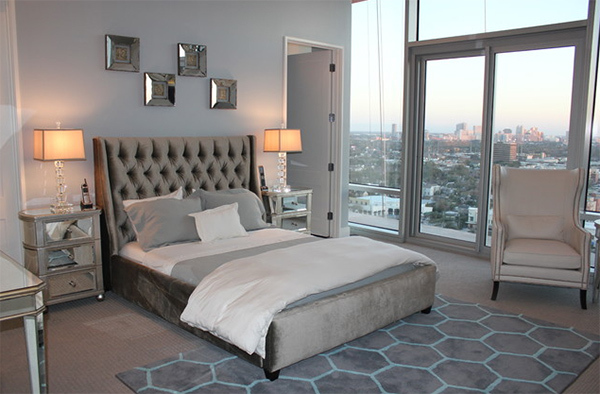 A contemporary hotel-style master bedroom is what the couple wanted for their condo. Light gray walls and dark gray bathroom just beside the bedroom is a lovely contrast. So, if you are into gray and you are living in a condo, these ideas will surely help you to design your own bedroom. Or you can always ask someone to do the decorating and designing for you. It would be a bit challenging especially if it is studio type. Other colors would also look great in a condo bedroom. We will show that to you next time! I had a quick question as to the 20 Condos that had “gray” interiors and their application. I was wondering if you have the paint colors for each of the design rooms. I am going to be changing the paint colors in my home and would like to try several of them. Please let me know if you have them available to you. Thank you so very much. Have a great day.